One of the challenges self-published authors constantly face is uncertainty regarding the placement of their books on the websites where they sell or advertise their work. Just like internet search results and Facebook feeds, the algorithms that might place your book in a coveted spot are not transparent. This is true not only for paid advertisements but also for various kinds of lists, including bestseller lists, where getting on the list usually involves an indirect marketing spend of some kind. Furthermore, these algorithms are subject to constant and unannounced change, which can frustrate planned (and expensive) campaigns that have managed to reverse-engineer how an algorithm’s been working lately. Infamously, online placements (whether they are advertisements or lists) are also subject to being gamed by scammers with the resources and the know-how to exploit them. Fighting a boiler room filled with people paid to mess all day long with the Amazon list you’re trying to get on might pay off from time to time, but it is not fun. And the very presence of scammers can interfere with authors’ best efforts, as the innocent get caught up in the various automated nets companies have to put in place to fight the guilty. 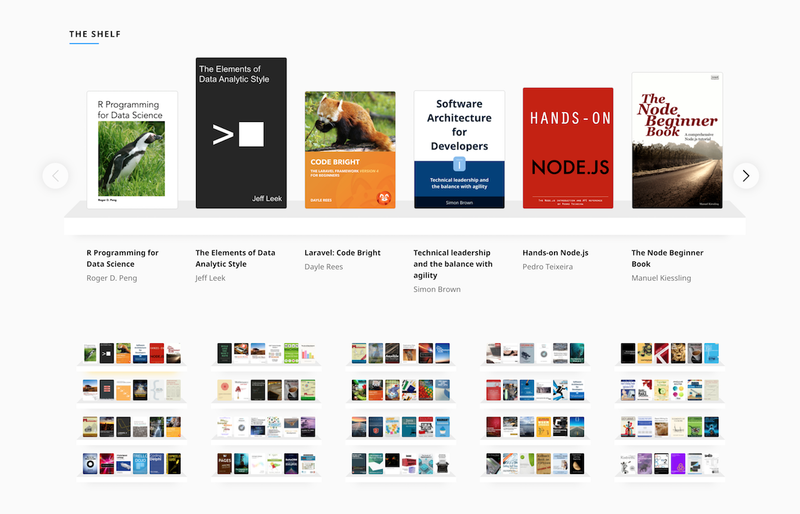 At Leanpub, just like everyone else, we are not against using algorithms to help choose better results, since that can help sell books by showing your book to readers who have looked at similar books, for example. But as useful as such algorithms can be, we’re sensitive to the constant sense of randomness and even futility that authors face when it comes to book promotion. In this ocean of uncertainty, we wanted to provide authors with a little island, something that may seem rather old-fashioned in its transparency and certainty: fixed, paid advertising spots where you know how your books will be presented to readers. One reason I called this approach a little old school is that, although many people don’t know it, promoting a thing by paying for prominent shelf space and coveted locations generally is a common and ubiquitous practice in brick-and-mortar stores, including bookstores. Those prominent end spots on the aisles you see in bookstores and grocery stores are often paid for. Companies will spend on shelf space in other ways too; one of the most interesting examples to me is the creation of entire product lines to crowd out competition for the company’s flagship products. Every inch of shelf space in a conventional bookstore is a paid advertisement. This is true in a direct sense, where publishers literally pay for their books to be put in certain places, and of course for striking or recognizable covers. But it’s also true in a less direct and more blunt sense, even if the bookstore isn’t selling spots for money: publishers make their books physically bigger in order to make them easier to see and literally to take space away from competing books. 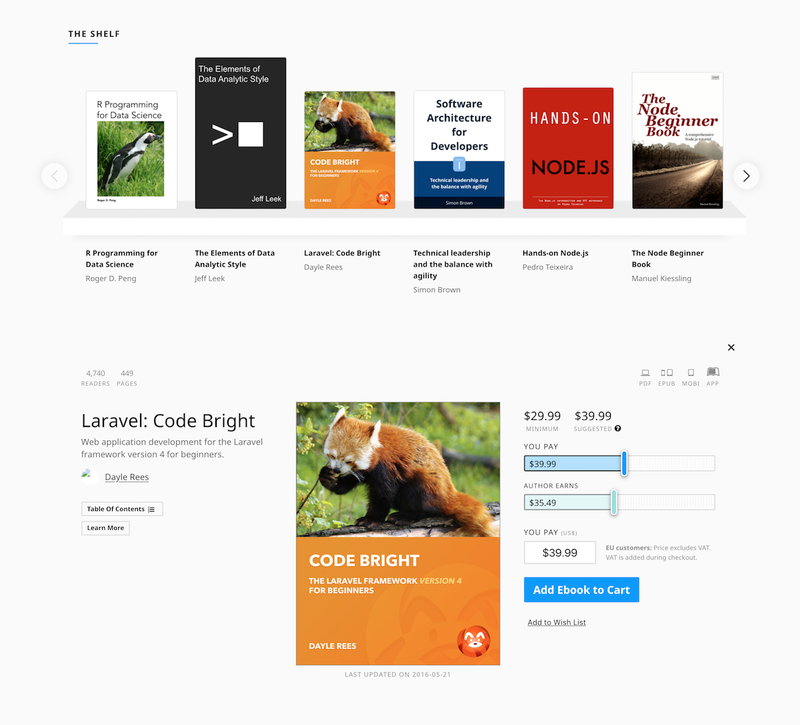 Buying a spot on The Shelf helps you draw attention to your book and supports Leanpub in our effort to keep building the best way in the world to write, publish and sell ebooks. Our sincere hope is that buying a spot will pay for itshelf! If you have any questions, please email the team at hello@leanpub.com.